Tickets: $12 advance, $10 members, $15 day of show. 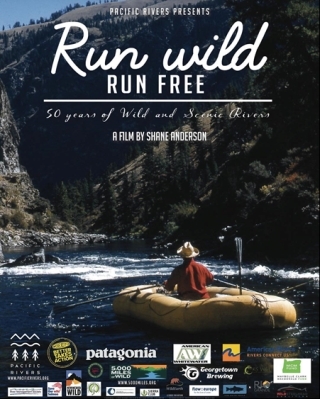 Run Wild, Run Free takes the viewer through the history to the present of the Wild and Scenic Rivers Act, as told through experts, grassroots organizers, whitewater enthusiasts, and members of the Nez Perce Tribe in Idaho. The film tells the story of the origins of the Act, the bipartisan spirit that ushered the bill into law, and the courageous people that stood up and demanded protection for the remaining free-flowing and wild rivers. The film also highlights the many current campaigns across the country to designate more rivers, including Whatcom County’s Nooksack River. Join us on this special night and help build support for a Wild & Scenic designation for the Nooksack River. Immediately following the film, there will be a discussion with filmmaker Shane Anderson and staff from American Rivers.